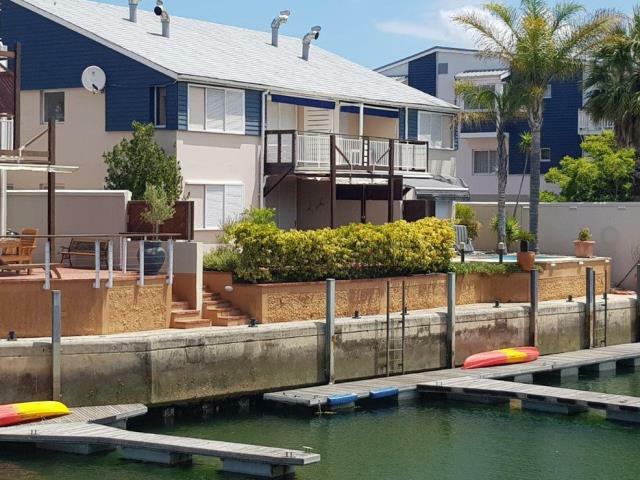 Perfect Lock up and go on the Water"
This immaculate apartment is right on the water with its own private jetty in the heart of the Knysna Quays. Ideal for a holiday home or an investment property, even a retirement home within walking distance to top class restaurants and shops. Built on one level with 3 bedrooms and 2 bathrooms, modern open plan kitchen and dining room, lounge leading to patio with views across the canal. The property is North facing and there is a lock up garage.